October 4, 2011 – Christmas has Santa, Easter has its bunny, Thanksgiving a turkey. Halloween doesn’t quite have such a central symbol. Pop culture has kind of personified Samhain, the Celtic festival of harvest and the dead, into some sort of spirit of Halloween, but that Lord of the Dead doesn’t completely represent the whole of the modern holiday, especially its more frivolous aspects. So for that latter, might I proffer somebody who looks like he’s smuggling an entire patch of pumpkins beneath his sweater, somebody who knows his way around a candy aisle, somebody who would look good as an inflatable lawn ornament? Hopefully those first three syllables in the title gave it away for you. That’s right. Fat Albert. The guy who, were he to exchange his signature red sweater for an orange one, could finally validate poor Linus’s lonely vigils in the pumpkin patch. 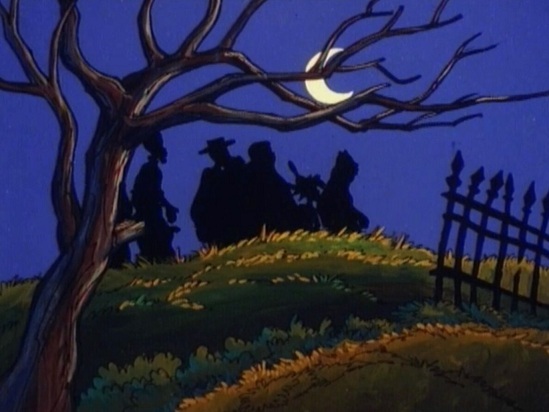 Once upon a time, long before the days of multiple streams of 24-hour cartoon content, cartoons aired during the prime time hours were, well, special. Usually, only a holiday could make it happen. Today, despite even the most obscure media being ridiculously accessible, a lot of those holiday specials aren’t easily available. Just ask this guy. 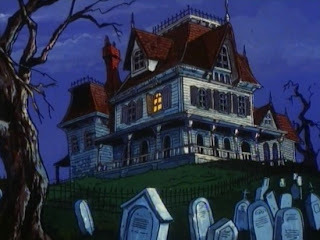 In fact, one of my inadvertent Halloween traditions has become trying to find them on Netflix. 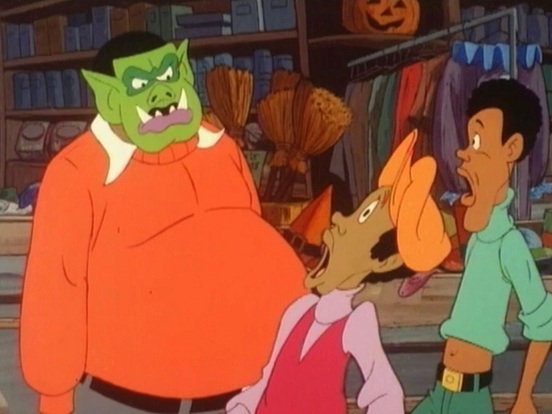 This year, the best I could do was The Fat Albert Halloween Special from 1977, which is actually available on Netflix streaming. But that’s cool. Somehow I’d never seen this particular Halloween special before. 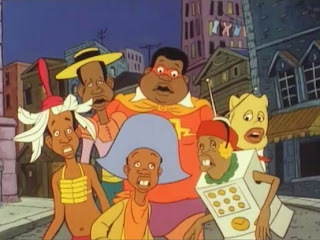 But I had seen the series it was based on, Fat Albert and the Cosby Kids. After all, the Bill-Cosby developed show ran from 1972 to 1985. In it a group of Philadelphia inner city black kids nicknamed after their least endearing feature (Weird, Bucky, Dumb, Fat, and Mushmouth, for example) who, judging by their mismatched outfits, can’t agree on whether its winter or summer, run around viciously putting each other down while learning life lessons, all to the ancient sounds of a laugh track. It’s a three-na good time. 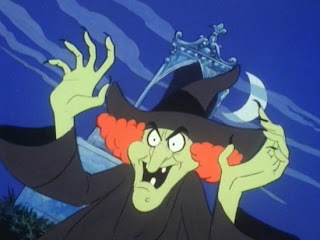 In fact, they pretty much experience the perfect Halloween night this side of meeting Carapace Clavicle Moundshroud. They head out to a theater to watch Space Squids that Ate Pittsburgh, fool around in a cemetery, go trick-or-treating, and top it off by hitting up the local haunted house. Halloween should always be that kind of adventure. And even though Bill Cosby wasn’t around to “show us a thing or two,” the special was full of morals, if only all the usual Halloween ones. Homemade costumes are better than store-bought, Halloween tricks shouldn’t be mean-spirited, and spooky old ladies in creepy old houses always give out the best treats. Sure, it’s no It’s the Great Pumpkin, Charlie Brown or Garfield’s Halloween Adventure, But hey (hey, hey), the animation and artwork are nostalgia-inducing (which is at least 75% of any holiday anyway) and it takes about as long to watch as it does to eat a caramel apple or two.